Originally designed for professional artists, draftsmen, and architects, this is the finest drawing and sketching material available, and is manufactured to the strictest quality control standards. 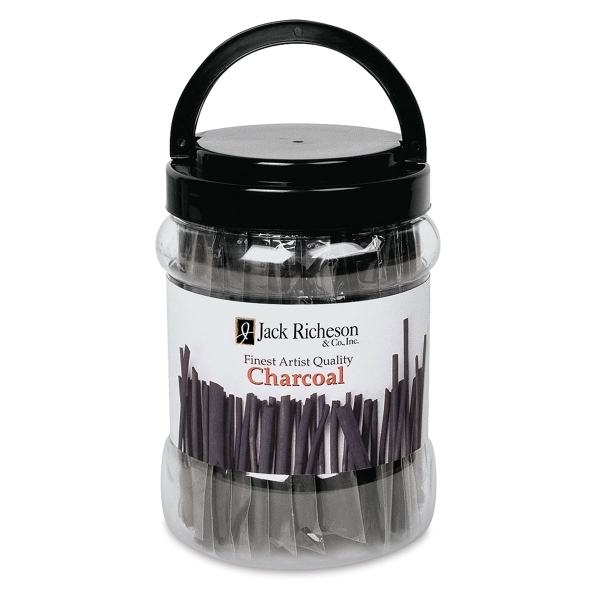 Rich and detailed designs flow naturally from this fine charcoal. Each canister is filled with 48 individual bags containing three vine sticks each (144 sticks total), making them ideal for classroom distribution. Each vine charcoal is cut to 6" and is approximately 3/16" wide.